Board gaming in particular is a prime example of this. It’s not only an activity that is simply fun, but board gaming can potentially improve your own communication and social skills. 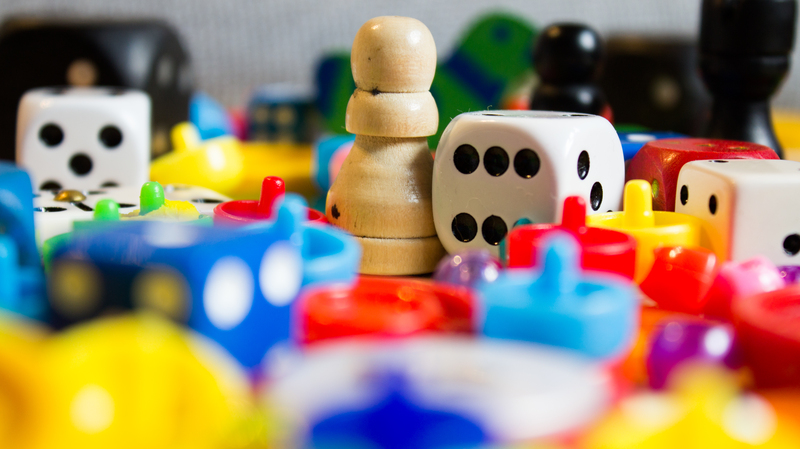 Here are some key reasons why board games can help improve your social skills. 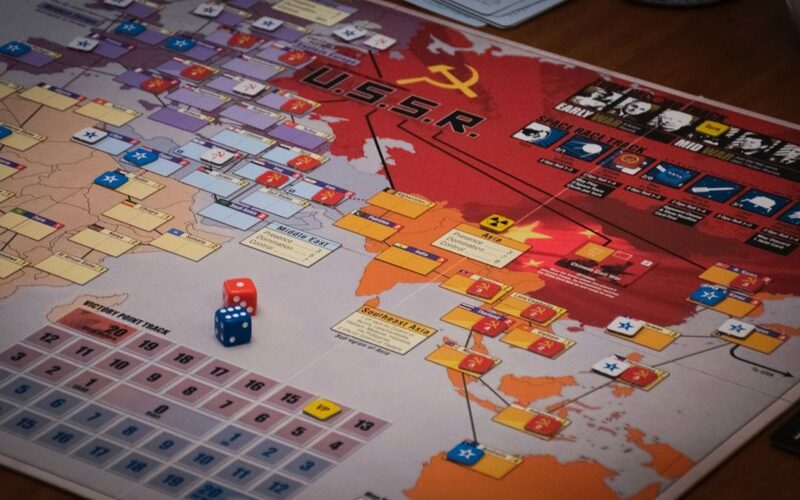 While there are some board games such as Monopoly, Scrabble, and Catan that actively pit every against each other only one can be the winner, games such as Pandemic and Mysterium mandate players work together in order to win. This often means that players need to communicate with each other, discuss strategies to tackle challenges, and coordinate moves in order to win the game. By forcing players to cooperate with one another for the sake of winning, players develop ways of communicating with one other issues and concerns. Moreover, they learn to deal with conflict if opinions on what moves to make differ strongly. Cooperative board gaming can teach a person patience, social coordination, and conflict resolution all in the space of an hour. How crazy! As board gaming can promote teamwork, it makes sense that it can also provide the chance for people to connect on another level. Some individuals upon first meeting can give off the impression that they are shy, quiet, or may simply not like you. Through a board game, you are given the opportunity to actively communicate with the person on a topic that concerns them. This could potentially allow them to open up themselves a little more, as they talk back to you on their thoughts. While some people love to socialise and thrive of connecting with people, for others, known as introverts, prefer to go to these kind of events sparingly, and pick their battles wisely. Nevertheless, this does not mean that introvert people don’t want any friends, however they prefer to not party every single moment they can. This is where the trusty board game comes in. Introverts could potentially use board gaming as a chance to keep in touch with some of their friends. Board games are perfect as it allows an introvert to communicate to others without having to rely on a list of questions and quick jokes to keep a conversation from dying. The game creates a list of discussion points and little questions that can keep people engaged throughout without becoming bored. This especially occurs in team-oriented board games, but there is always a problem or issue that needs to be solved and discussed between the players to achieve victory. Whether this is to eradicate a disease in Pandemic, or finding the perfect trade in Catan, issues such as these need proper communication. As players go through these actions, they slowly over time are able to once outside of the game talk and discuss problems with relative ease. Now more than ever board gaming is becoming essential in the development of face-to-face communication. With the digital age upon us, people are turning away from talking in person or on the phone, but using instant messaging apps such as Messenger or WhatsApp. Slowly over time, with the reliance on the phone ever increasing, the skill of simply talking to someone in real life is fading away. Although there are online simulators that let you play online, board games for the time being tend to be played in-person. This then creates the environment where individuals speak directly to one another, in turn training or improving the face-to-face communication skill. You can Think of it like a gym for your social skill, it helps build up your strength such as taking the initiative in speaking, check out lyrics of songs from lyricsmaze, but also helps you understand how your words can obtain particular reactions from others. What board games can help improve social skills? The classic cooperative game. This revolves around players working together in order to eradicate a deadly disease which is destroying the world. I personally really enjoy this game due to its difficulty and replayability. This board game has players traverse a haunted house together, opening rooms and discovering the weird and ghostly. Eventually, the game flips and someone turns into the bad guy aka ‘traitor’. This one is extremely enjoyable, with 50 different kind of betrayals, each game is always different. While the other two games are fairly simple concepts and easy to follow, Mysterium for me personally took a little longer to understand. It’s essentially Cluedo with a little bit of Dixit. You work as a team and solve the mystery of how someone died by making educated guesses. However time is limited and you’ll need to think smart otherwise time runs out. Start playing board games today! I’m personally a proud advocate for board gaming, with my interest dating back to when I was a little child. Although some people tend to think they are ‘too mature’ or have grown out of it, gaming is a timeless activity and can prove to be the thing that teaches you something more than just critical thinking. Get started with simpler, easier to understand games, then work your way up to the style that you love the best.